The villa in El Paso has 3 bedrooms and has capacity for 8 people. The villa is tastefully-furnished, is fully-equiped. It has views of the sea and the mountain. 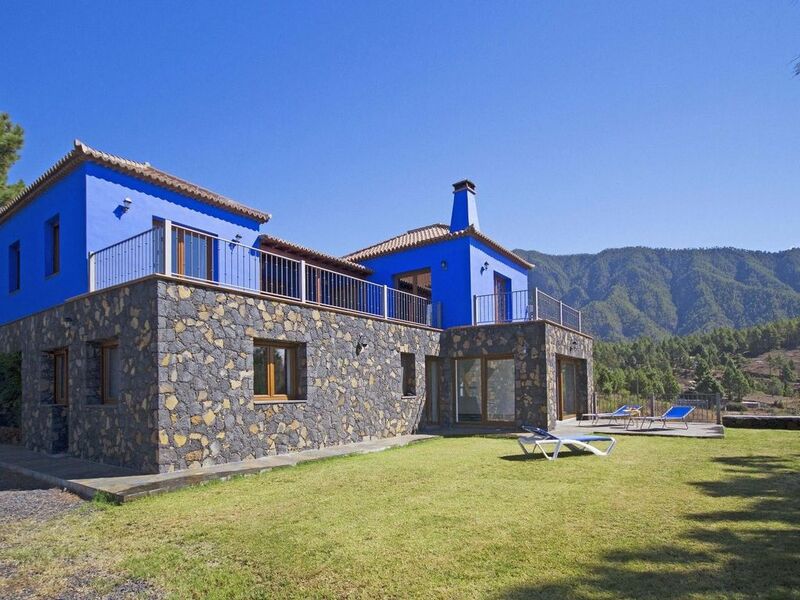 The property is located 1 km from the supermarket, 2 km from the , 12 km from the sand beach, 30 km from the airport. The house is situated in a quiet neighborhood in a beautiful rural area. The accommodation is equipped with the following items: garden, garden furniture, terrace, barbecue, iron, safe, internet (Wi-Fi), hair dryer, gym / fitness centre, electric heating, private swimming pool, private heated swimming pool, open-air parking, TV. In the vitroceramic open plan kitchen, refrigerator, microwave, oven, freezer, washing machine, dishwasher, dishes/cutlery, kitchen utensils, coffee machine, toaster and juicer are provided. Important notice: no partys / celebrations is allowed in our villas and houses.